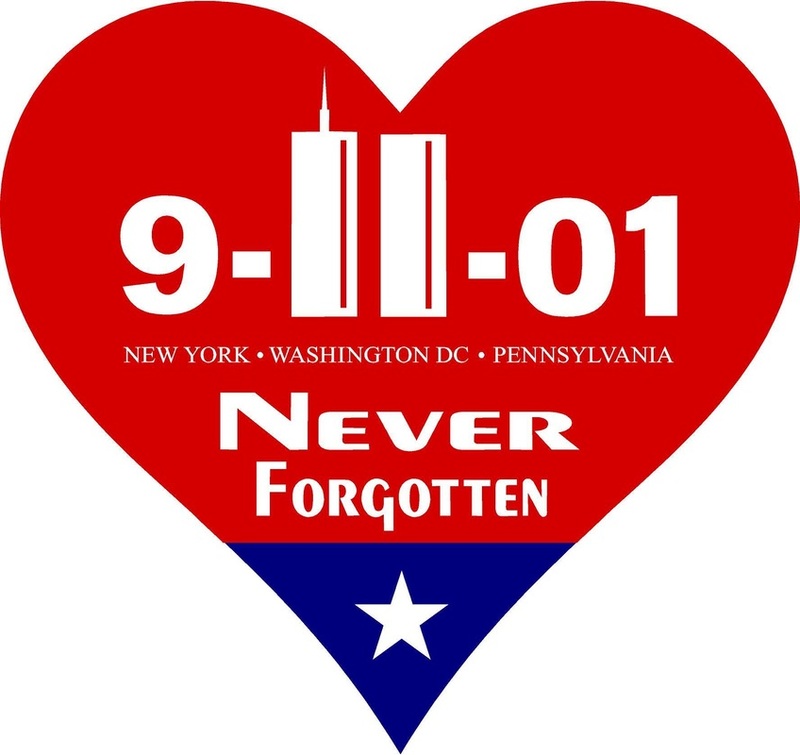 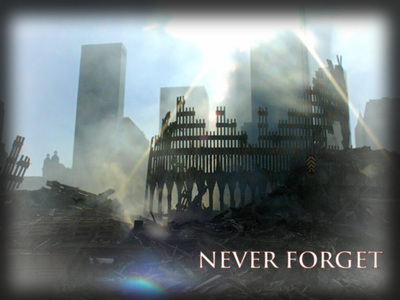 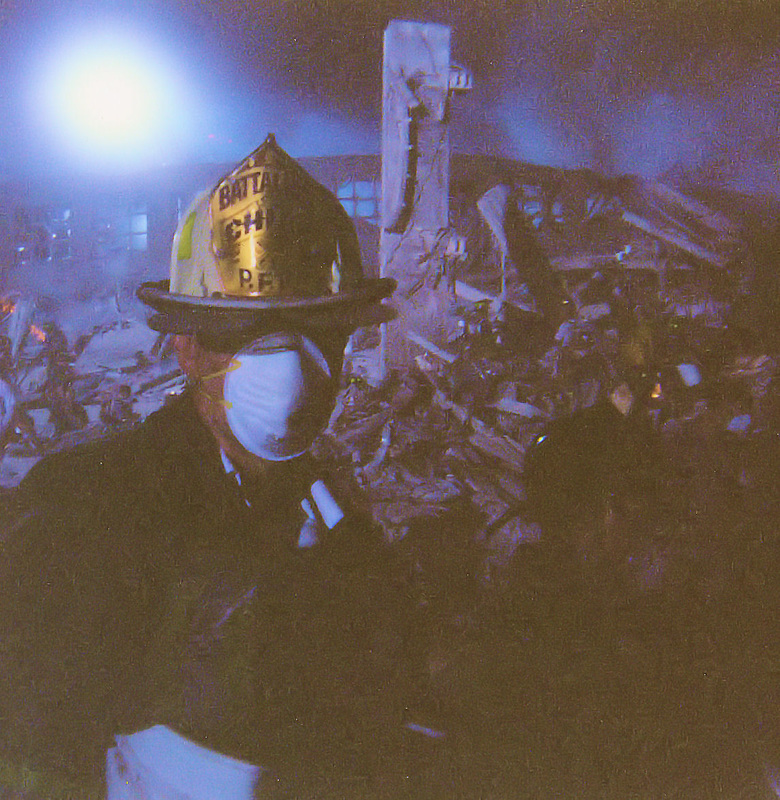 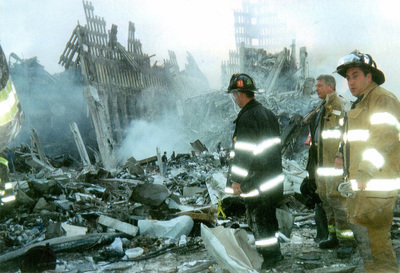 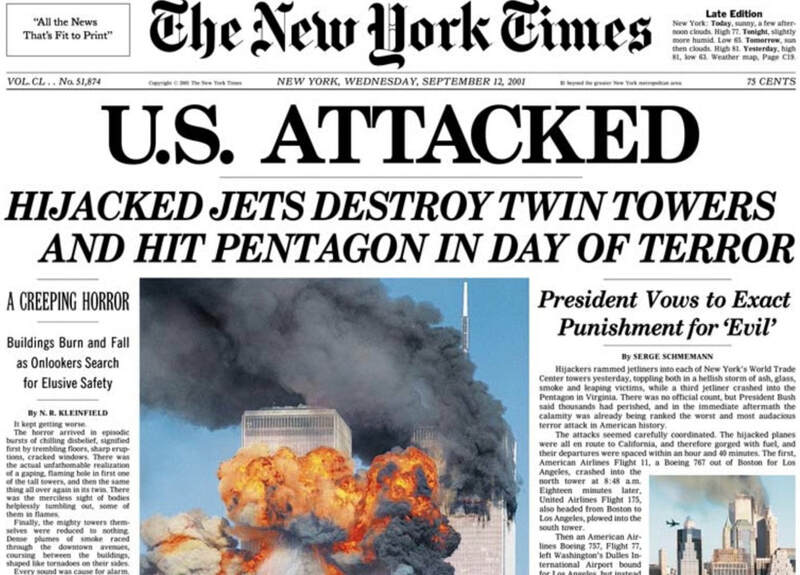 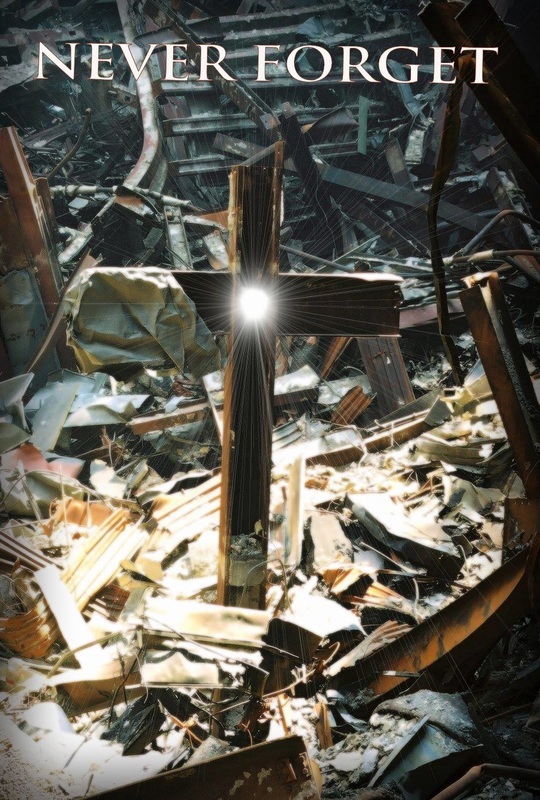 ​On September 11, 2001 is a day all Americans will remember. 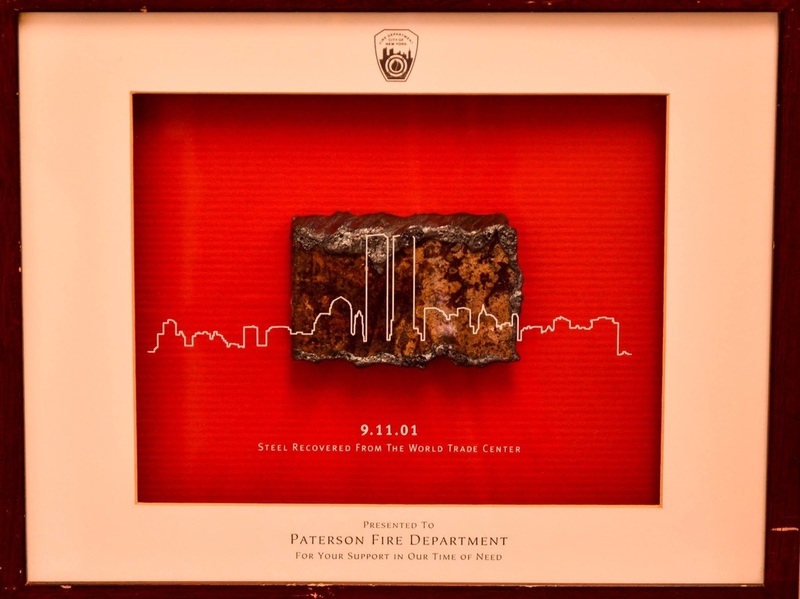 The Paterson Fire department was part of the story, as they responded to a mutual aid request by FDNY. 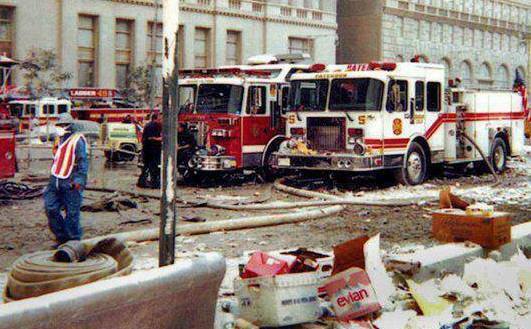 Engine 5 is seen below stationed at West and Barclay Streets feeding standpipes 2 blocks from the trade center. 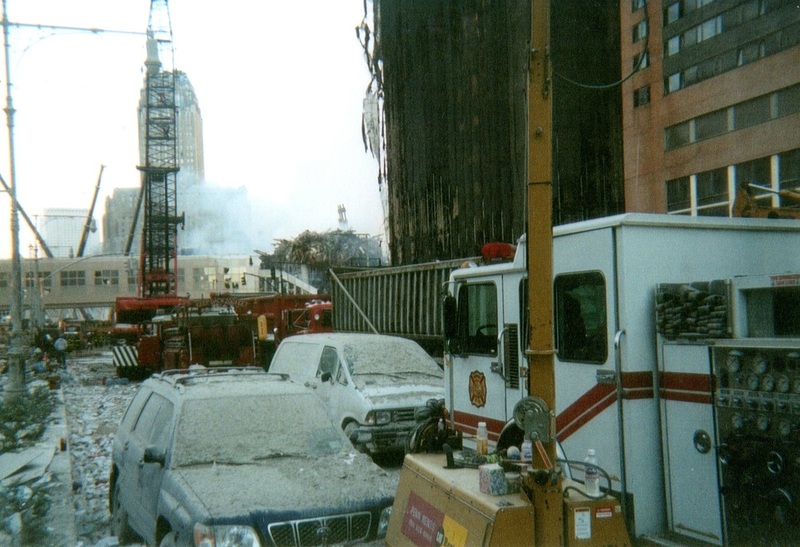 PFD also helped fight a 40 story structure fire as well as assist in recovery operations at Ground Zero. 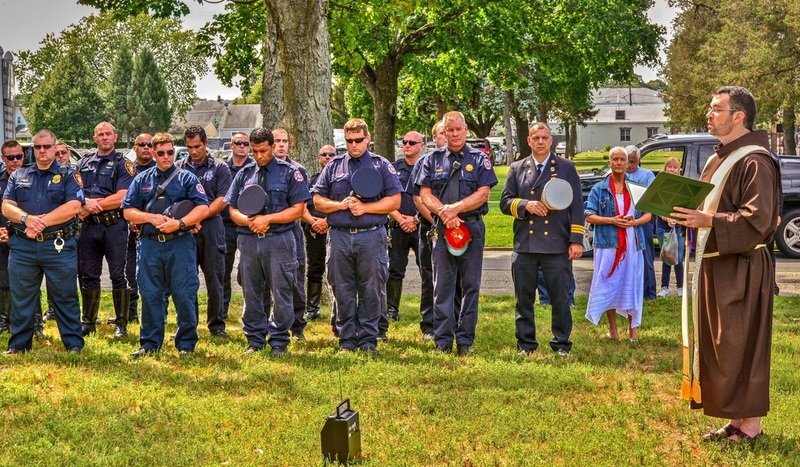 Engine 5 was relieved after three days of mutual aid service. 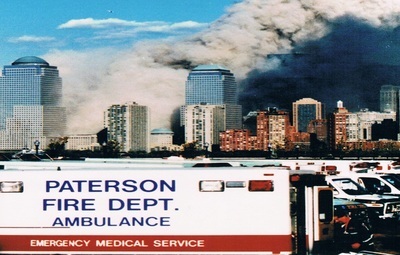 ​On September 11, 2001 at 0940 Hours, a request from MICCOM (Mobile Intensive Care Communications) was made for an Emergency Medical Service (EMS) mobilization to Liberty State Park in Jersey City. 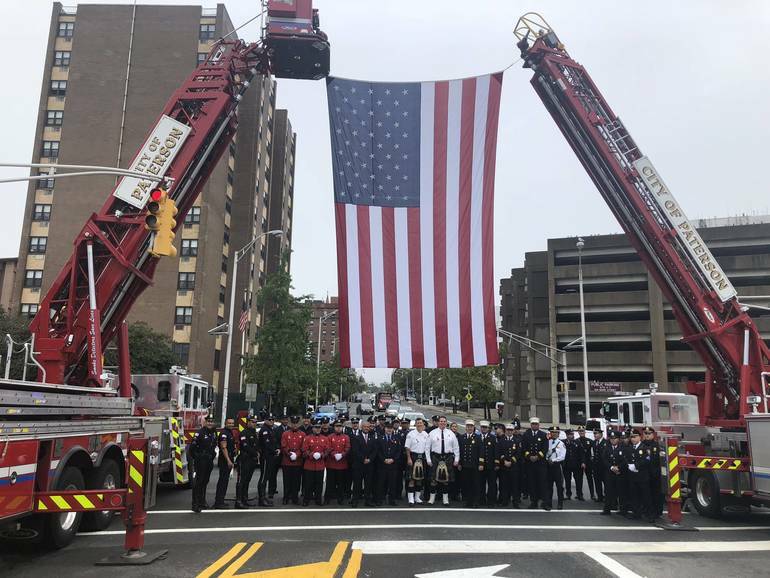 Paterson Fire Department personnel under the command of Battalion Chief Joseph Guerrieri (90) and Executive Officer Michael Ventimiglia responded with 2 EMS units, the Field Communications Unit, and the Mass Casualty Unit. Both ambulances and the Mass Casualty Unit were assigned to the Triage Sector. 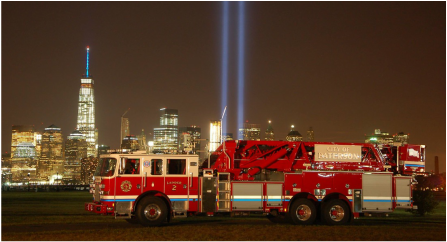 While at Liberty State Park, PFD personnel assisted victims who were transported to NYC by NYPD marine units. 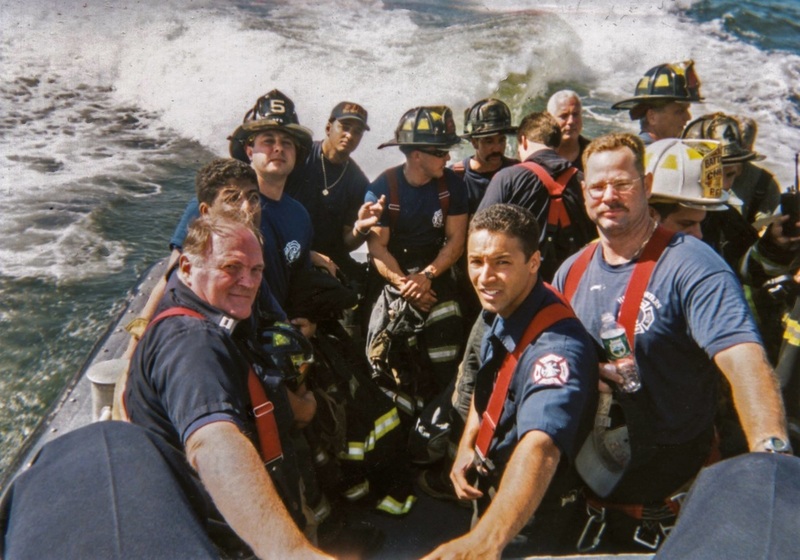 ​In the photo below starting on left are William Duncan, Carlos Pagan, Frank Liscio IV (E 5 helmet shield), Hector Almeyda, Anthony Camal, Joe Parkin Jr., Gene Kretkowski (with his back to camera) Ray Cusack, Jack Harris (wearing helmet), ? 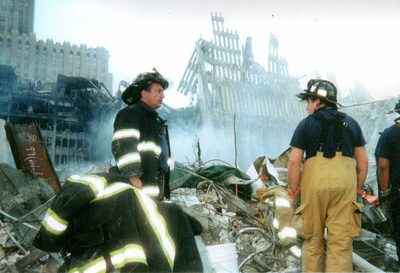 Glen Vetrano (wearing helmet with #4 shield), BC Kevin Hancock (white helmet), Jimmy Hughes, and Carlos Abreu. 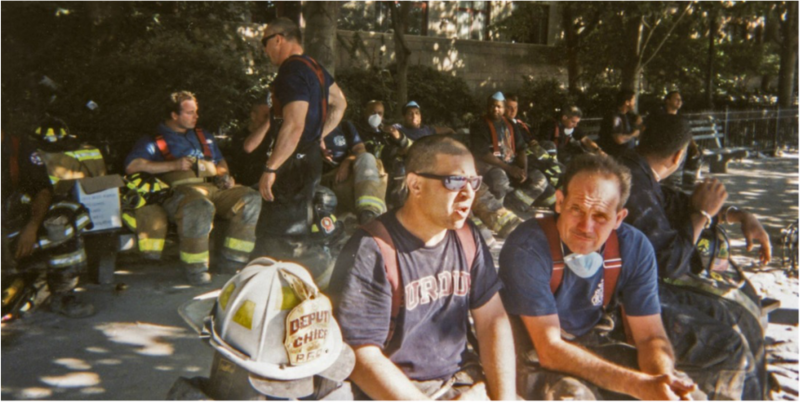 During such time, a request for assistance was made for all available firefighters. 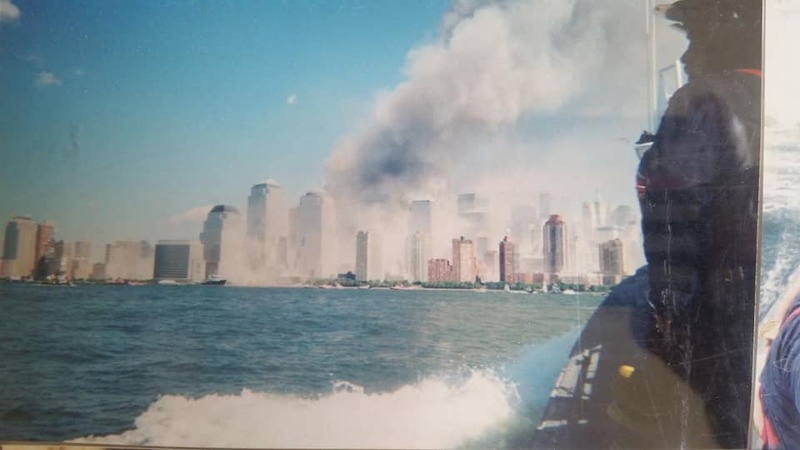 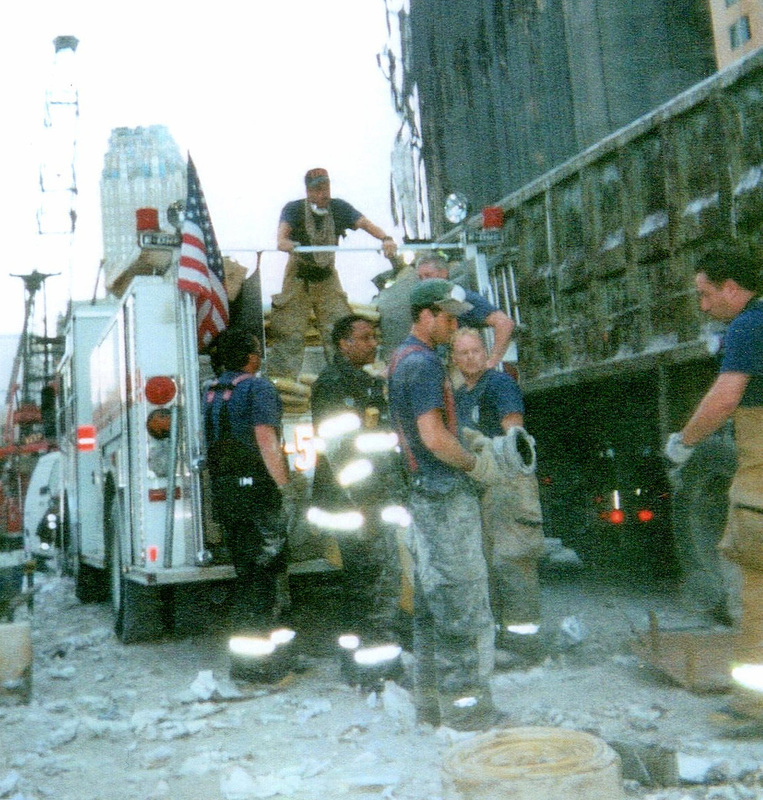 2 initial firefighting crews led by Captain’s Joseph Murray and Brian Burns were shuttled across the Hudson River, where they reported to the 44th Battalion, and were assigned to work in conjunction with FDNY Engine Co. 311 for fire attack operations at 90 West St., a high-rise office building. Crews ascended to the roof of the Marriott Financial Center Hotel with 2-1½ inch hose and a Stang Gun. Upon arrival, crews were then redirected to the Northside of the 37th floor, 25th floor, and 32nd floor and conducted fire suppression operations. 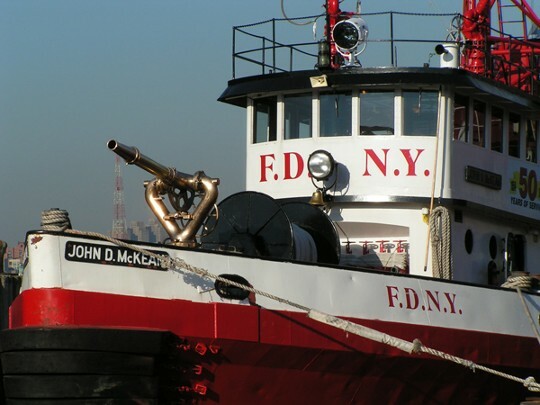 NYPD Marine Division shuttled additional PFD firefighters across the Hudson River to the South Cove Dock. 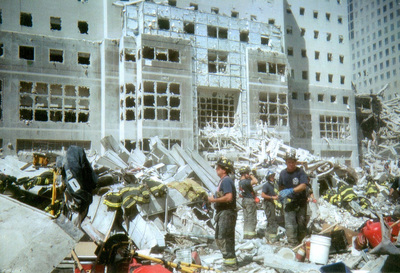 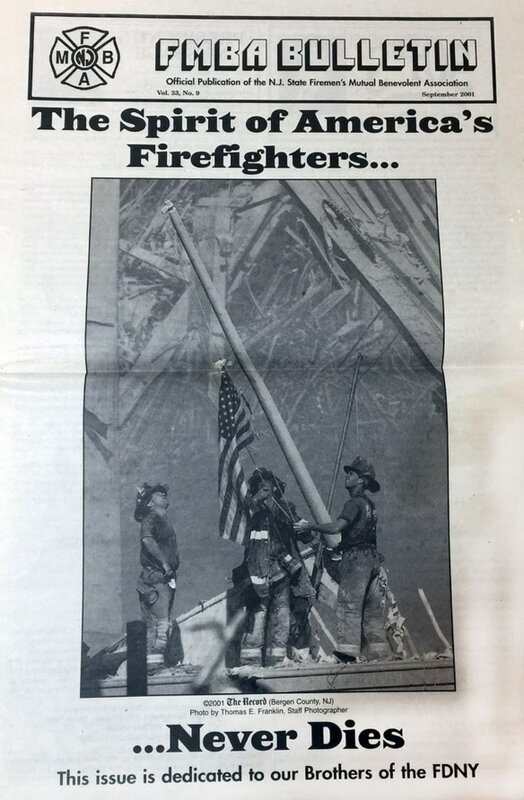 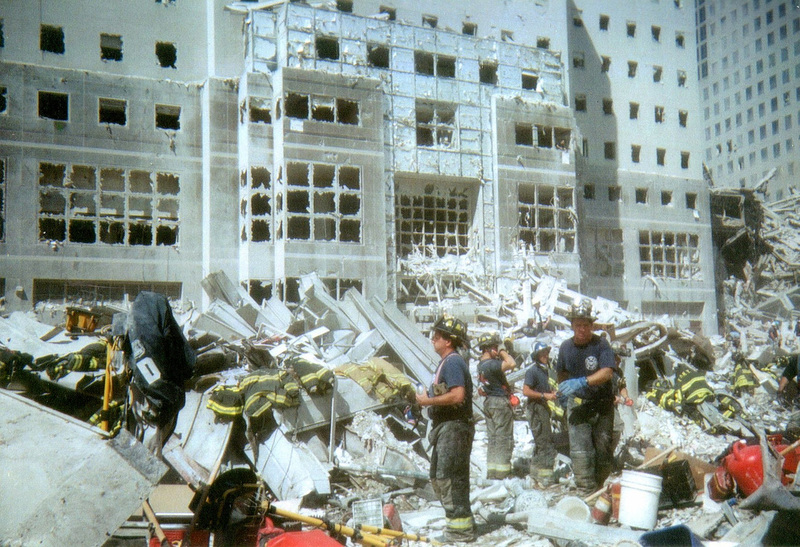 At such time, Deputy Chief Robert Mosier of the FDNY (8th Division) advised of major water problems as water mains had been compromised as a result of the collapse of the towers. 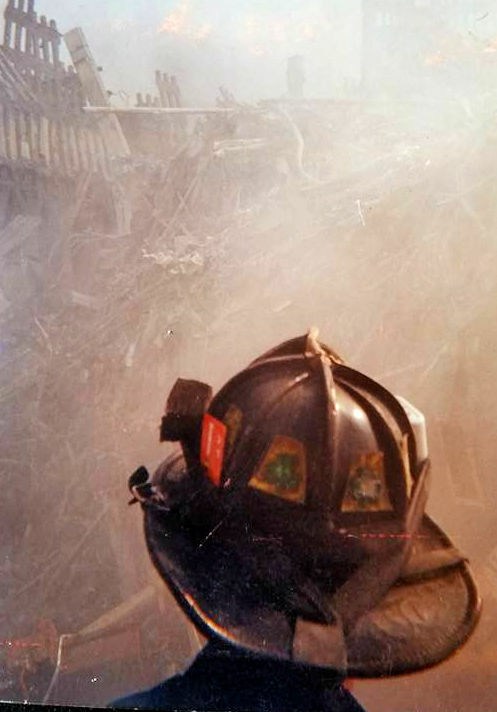 Mosier requested that the initial firefighting crews continue fire attack operations while the additional crews attempt to locate additional water supplies and hose. 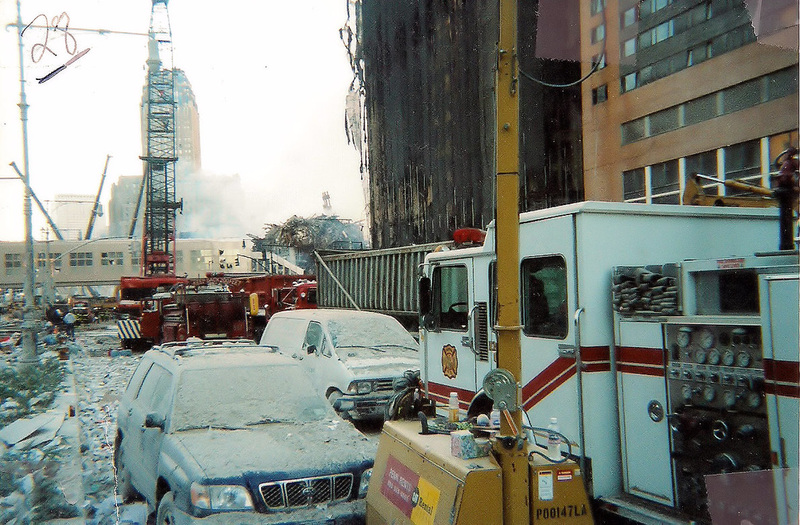 from the collapse, for any available hose. 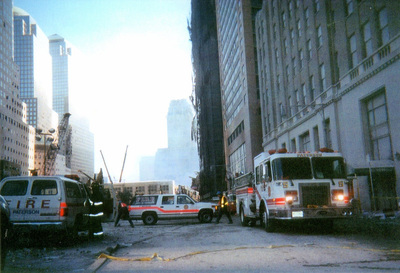 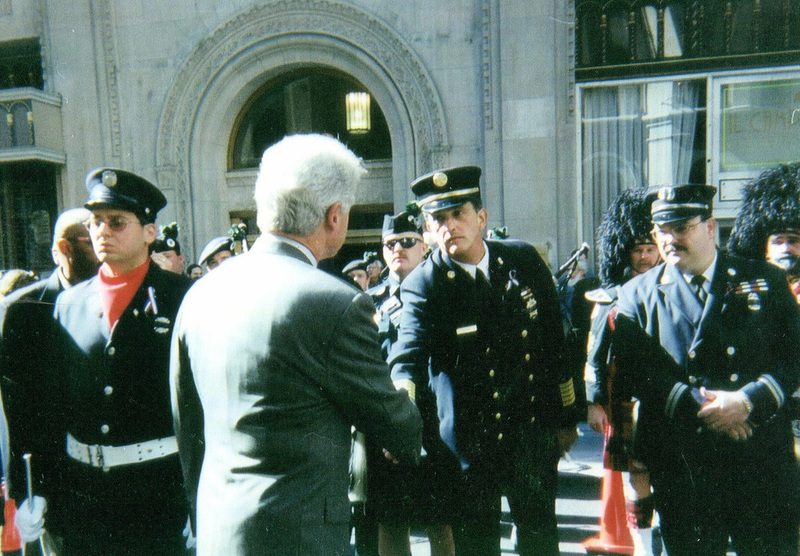 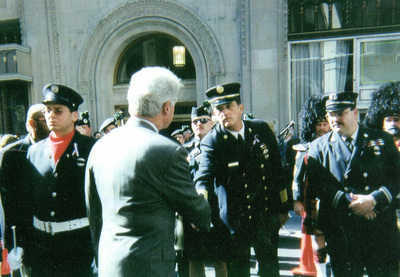 FDNY crews were also summoned to retrieve old hose from the quarters of Marine 1; much of which had not been retrofitted with the proper couplings. The crew of Marine 1 was able to locate the proper adapters and place the old hose into service. 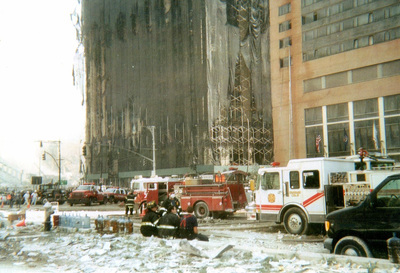 As the incident unfolded, pallets of new hose were eventually delivered and all available hose was utilized. 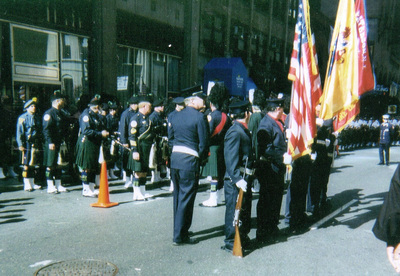 Numerous relays were set-up which established a continuous water supply for the Albany/West Sector; however, water pressure was still lacking due to the long distances of the relays. 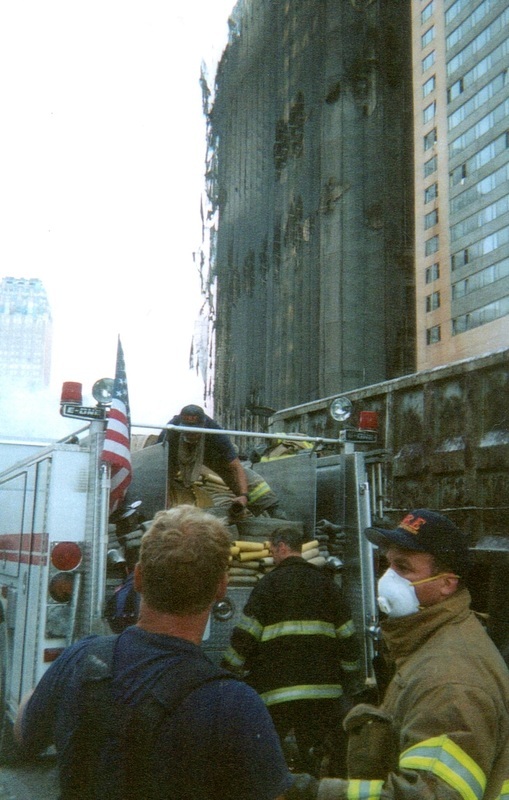 It was at such time that Deputy Chief Mosier made a request for pumpers with large-diameter-hose (LDH). A pumper from West Orange FD arrived but did not have sufficient LDH. 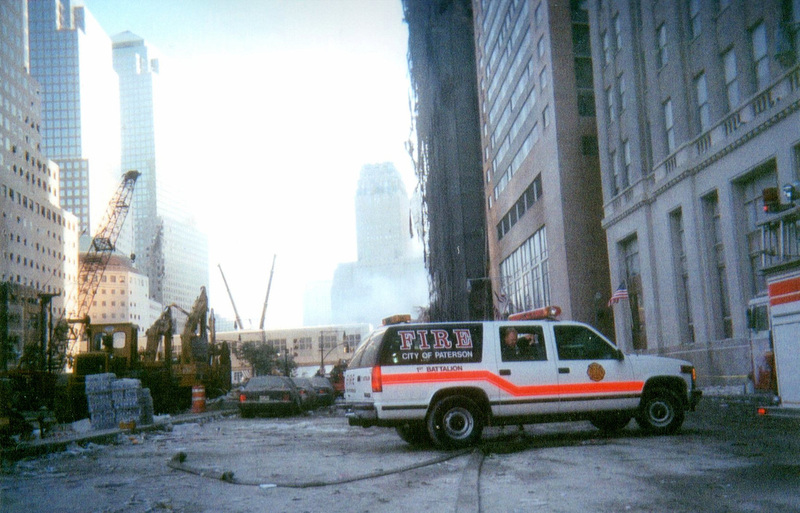 PFD Engine Co. 5 was dispatched and responded via the Brooklyn Battery Tunnel. 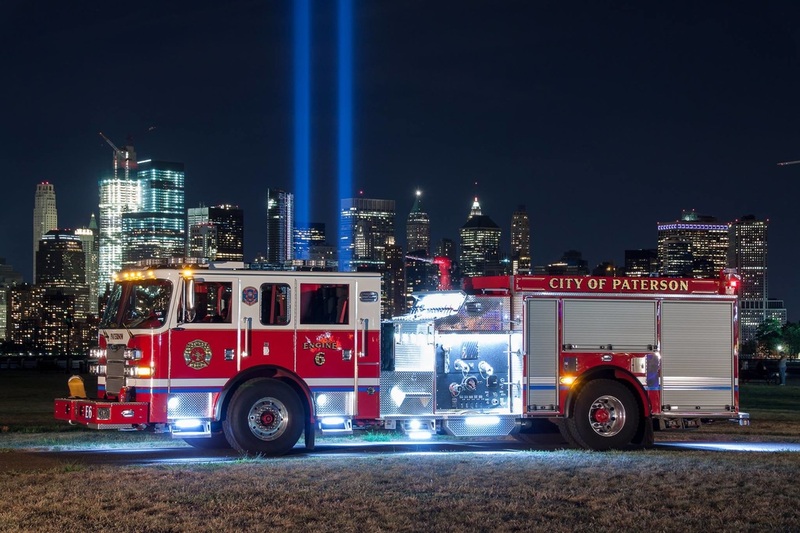 Upon the arrival of E-5, they were paired with the pumper from West Orange Fire Department as both New Jersey pumpers were equipped with LDH and compatible hose couplings. 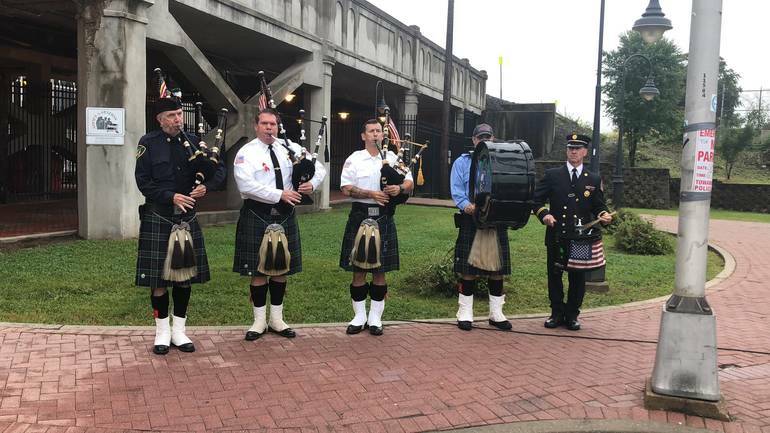 With the two New Jersey companies operating in tandem with Marine 1, a 5-inch water main was now established at West and Albany St. 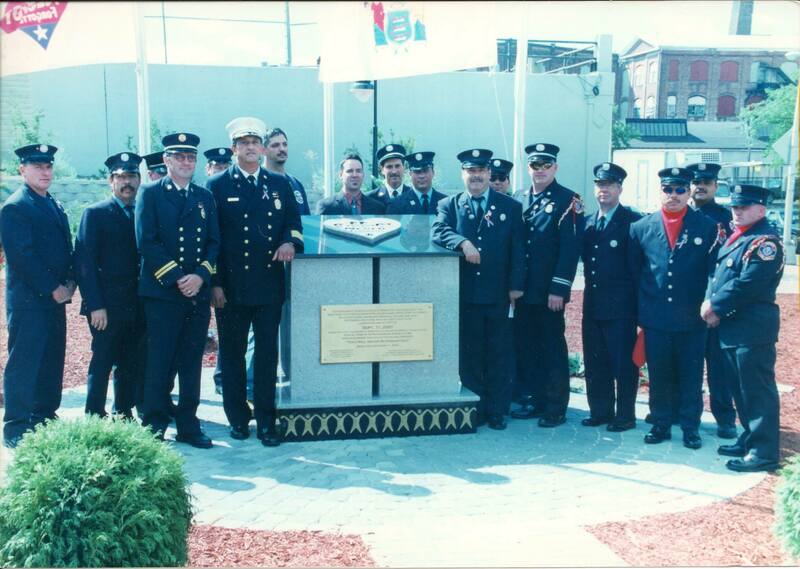 Numerous master streams and standpipe systems were now fully operational. It was estimated that over 250 lengths of 3-½ inch hose was supplied by Marine 1. 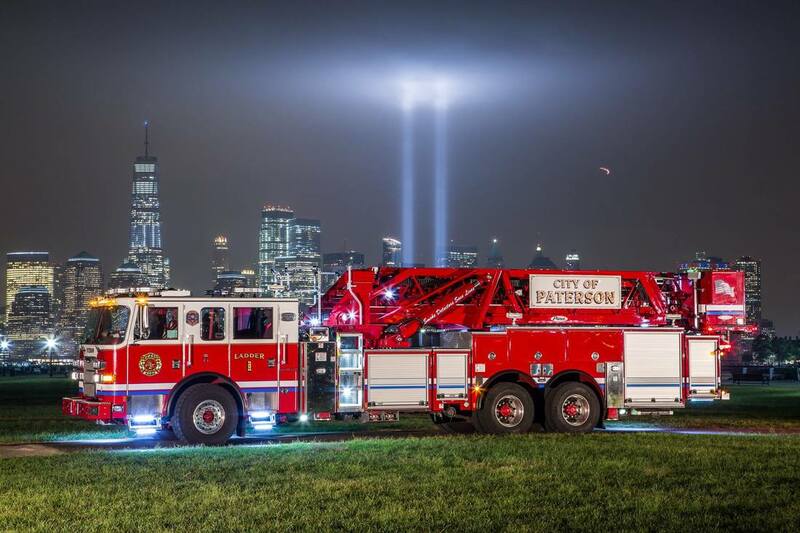 Over the next successive days, The Paterson Fire Department continued to rotate firefighting personnel to NYC to assist with firefighting and search and rescue operations. 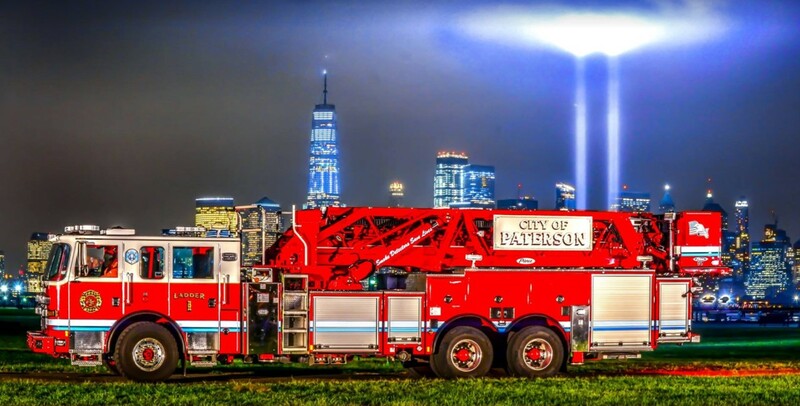 In all, over 125 firefighters of the Paterson Fire Department partook in firefighting and search & rescue operations in NYC. 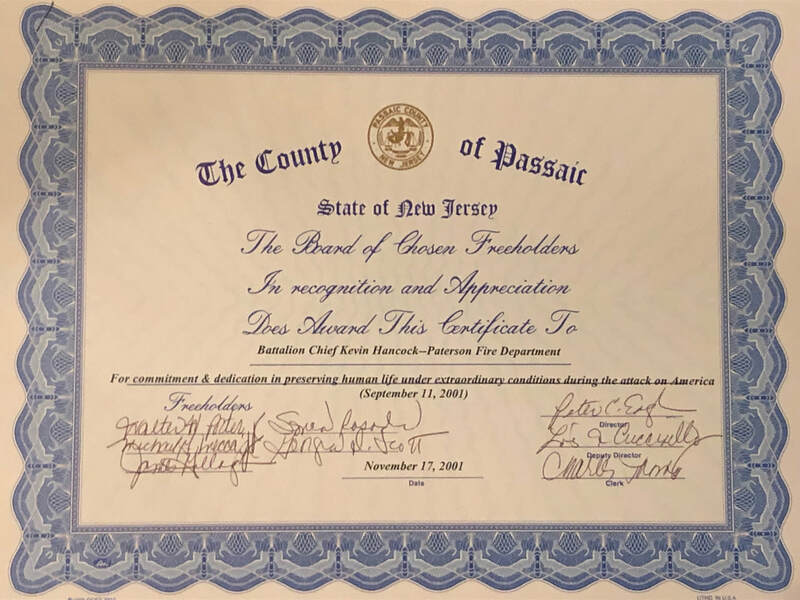 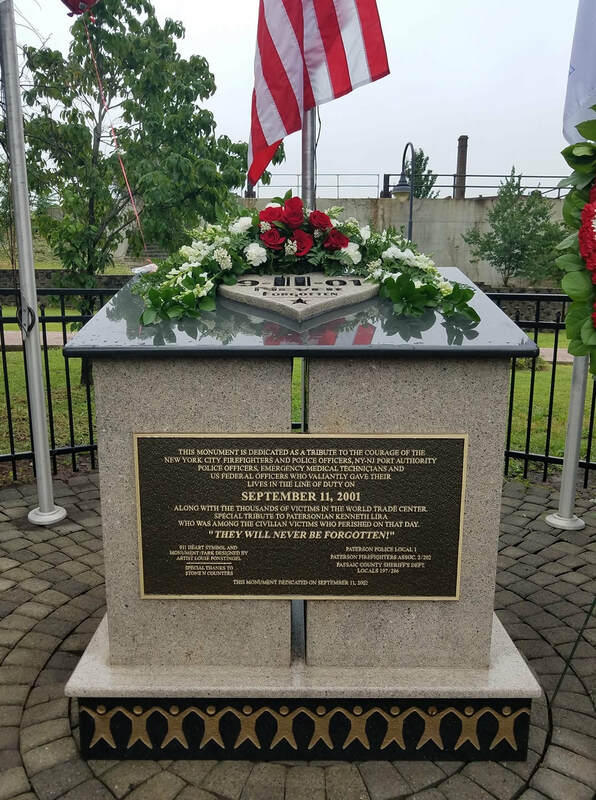 On November 17, 2001, the Paterson Fire Department personnel, along with other responders from Passaic County , who participated in the 9/11 rescue and recovery operations, were recognized by the Board of Chosen Freeholders and presented with appreciation award certificates for commitment and dedication in preserving human life under extraordinary conditions during the attack on America on 9-11-01. 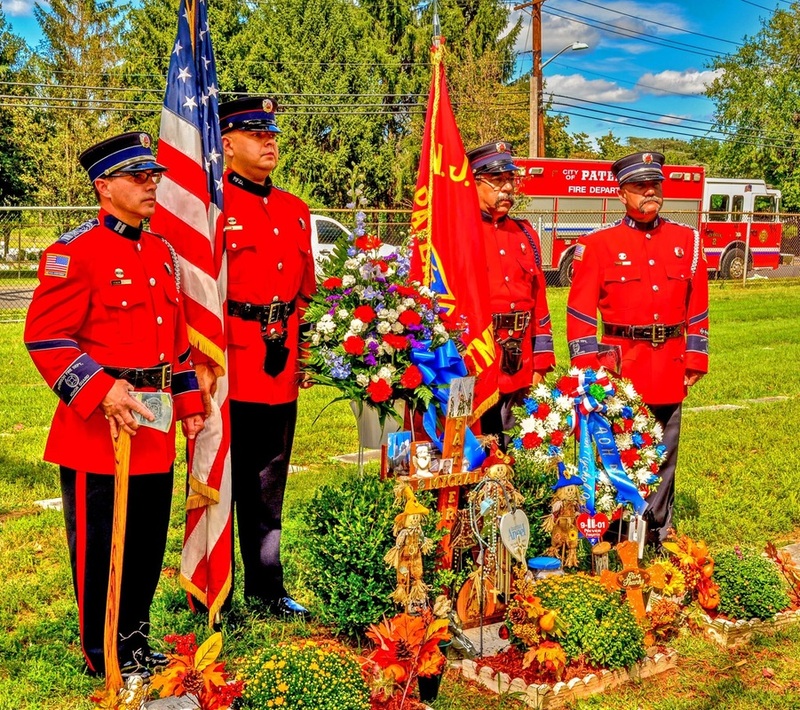 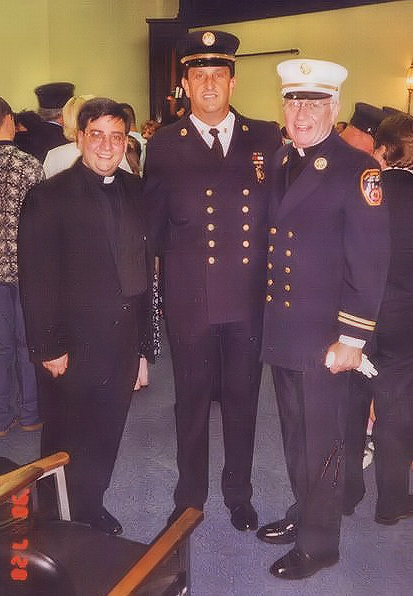 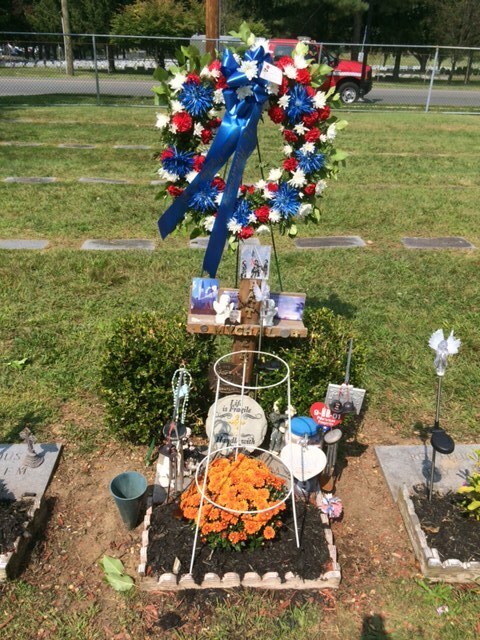 Father John assisted with funeral arrangements and the Paterson Fire department assisted with the interment of Mychal Judge, which was at The Holy Sepulcher Cemetery in Paterson / Totowa NJ. The slightly rundown three story building at 486 Union Ave, is typical for Paterson: There’s nothing special about the architecture; it’s in a transient neighborhood, where no one seems to stay long. 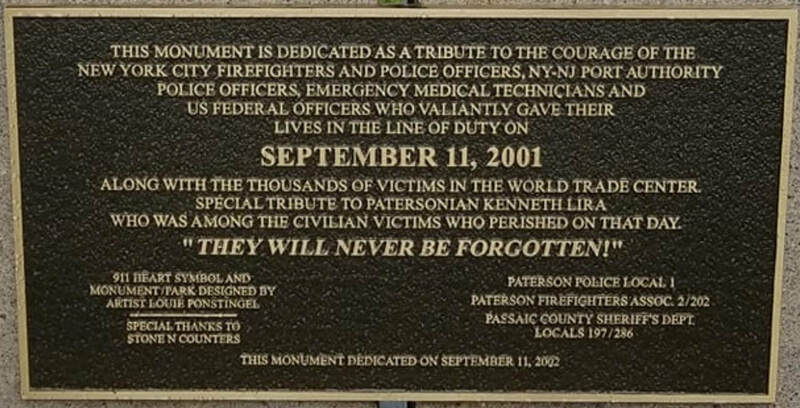 For a short time in the summer of 2001, Paterson was a safe haven for many of the terrorists who plotted the 9/11 attacks on the World Trade Center and the Pentagon.